SYCSS partners with the City of Des Moines and Big Creek Marina to use their Hobie Wave rental fleet as trainers for our Adult Level I small boat courses. We love the stability, easy of use, lack of boom, and large size for our beginner courses. Not as maneuverable as a monohull boat, but certainly comfortable and fast! 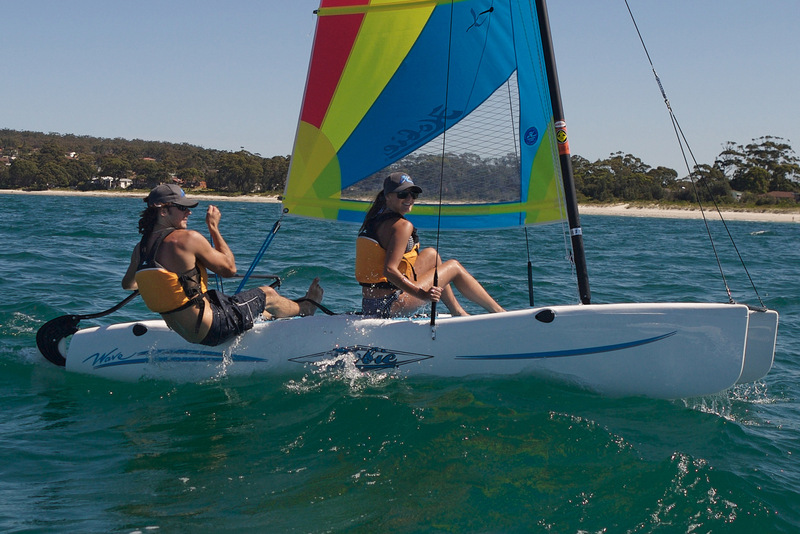 These boats have become popular in rental fleets around the world because they are so fun and easy to sail. The boat is typically sailed by 1 or 2, but it does have a capacity up to 800 lbs.